Screening at this year’s Dances with Films, Cowboy and Preacher comes face-to-face with the degradation of the environment as the most daunting crisis facing humankind. If that isn’t enough, many people oppose action to save the environment or deny there is even a problem. Some of the most vocal and powerful of these people are conservative Christians in the USA. Tri Robinson, a conservative evangelical pastor but also life-long environmentalist, has battled throughout his life to show that Christianity and environmentalism are not mutually exclusive. In fact, environmental stewardship is demanded by Christianity – “with dominion comes responsibility”. 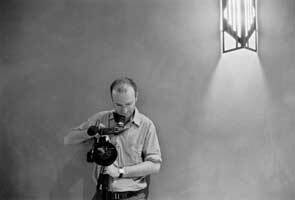 Most environmental films are framed for a liberal audience and preach to the converted. 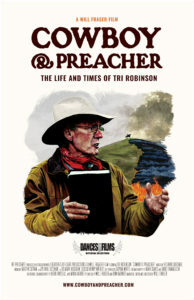 This film addresses “unconverted” Christians, while offering liberal non-Christians a fascinating insight into evangelical values and mindset as Tri, at work on his ranch or church, builds up a Biblical case for environmentalism emphasizing respect and responsibility that flies in the face of many on either side. This film is absolutely timely – the destruction of the environment is the most important issue facing all people, and many politicians and voters need to face it. Director Will Fraser (The Genius of Cavaillé-Coll, Martinkerk Rondeau) stops by to talk about breaking down the barriers that are keeping many from an honest conversation on the looming challenge of climate disruption and the impact Tri Robison has had on his own path to spiritual commitment.